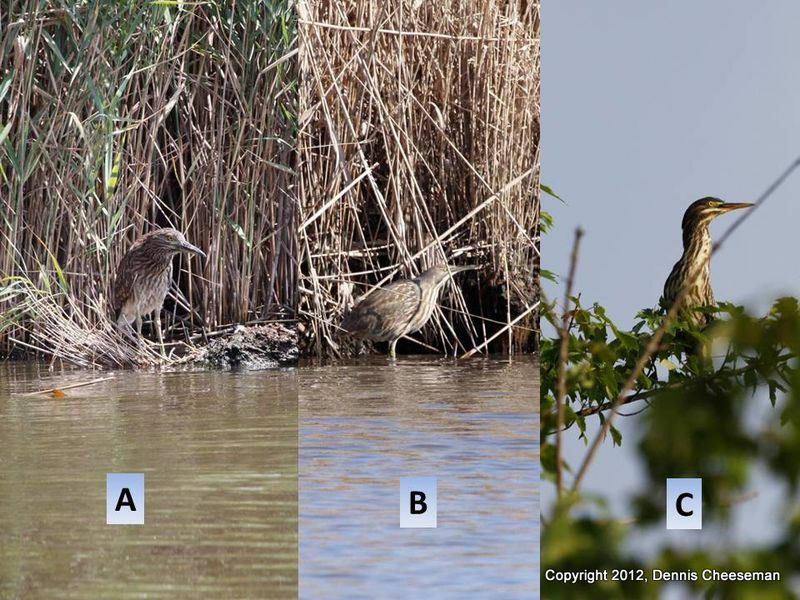 Dennis Cheeseman asks: Can you ID these three guys? We had a great First Sunday walk for August in DeKorte Park, with lots of great looks at Forster's Terns, peeps, Ospreys and lots of butterflies. 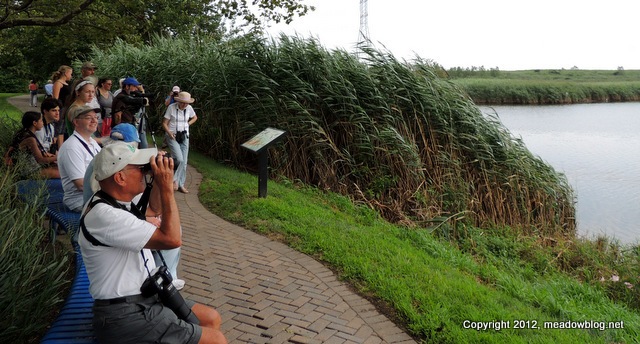 The walk was sponsored by the Meadowlnads Commission and the Bergen County Audubon Society. In all, we counted 36 species of birds and at least 10 species of butterflies.